These advanced designs make full use of BioExplorer's capabilities for alpha, symmetry, coherence and amplitude EEG training. Each design offers multiple video and audio feedback options. Complete design notes tell you how to use the design. In addition pausing your mouse over any design object will show you a pop-up explanation of the object. 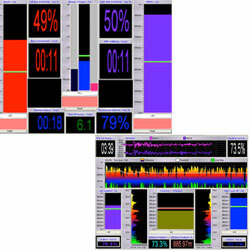 The designs come with subjective and objective tracking instruments, so you can track your results over sessions. Two designs for training up alpha amplitude and peak frequency. Plus a design for training the alpa/theta hypnagogic crossover state. One design trains greater beta amplitude in channel 1 and greater alpha amplitude in channel 2. The other design trains down extreme low and high frequencies while training up beta in channel 1 and SMR in channel 2. Two designs that train up coherence in low and mid frequencies. And two versions of a complex design that trains coherences up or down in multiple frequency bands. Two designs train down amplitude of a specified frequency band in 1 or 2 channels. The other two train down amplitude in low and high frequency bands in 1 or 2 channels, leaving a window frequency band free to increase. 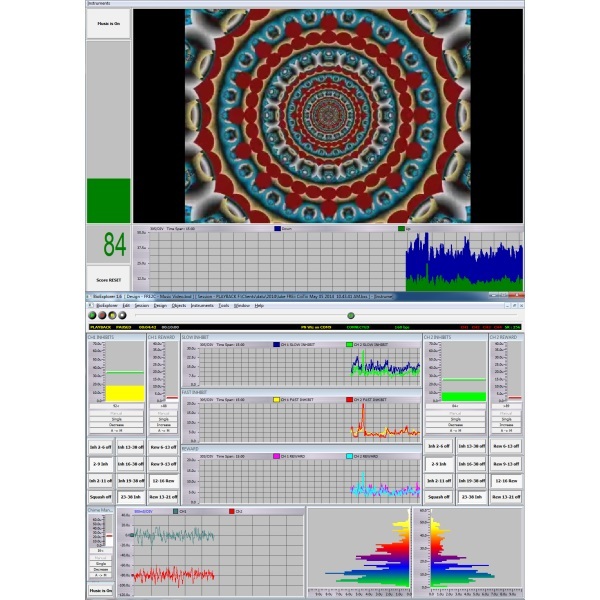 BioExplorer software plus a permanent subscription to current and future updates of Brain-Trainer protocols/designs for BioExplorer. These tell the software how to perform specific types of training, allowing the trainer to specify the frequencies to be trained, targets for each and types of feedback to be used.